Get a great look with this Black Cream Lipstick. A perfect addition to your Halloween Fancy Dress Costume. Black Nail Polish. Really will add that extra touch to your Halloween Costume. 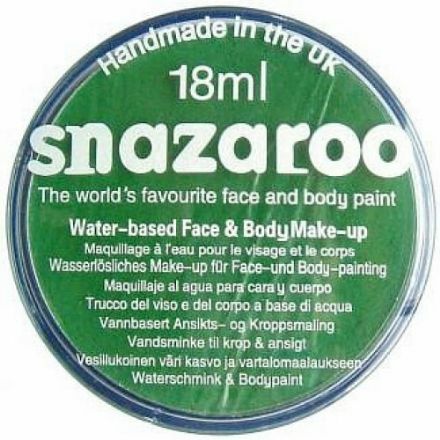 Snazaroo Bright Green Face and Body Make-Up. Perfect for School Plays, Sports Events and Parties. 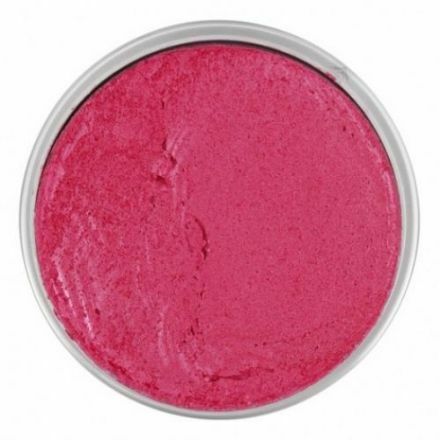 Stand out in this Snazaroo Bright Pink Face and Body Make-Up. Ideal for School Plays, Parties and Functions. 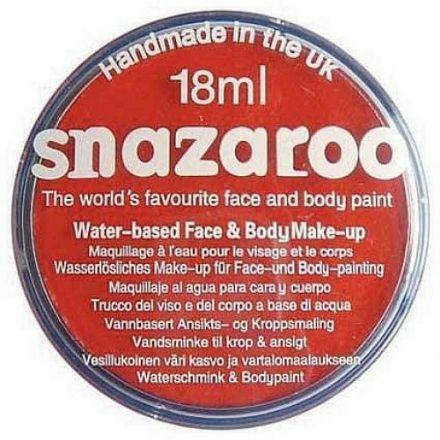 This Bright Red Face and Body Make-Up by Snazaroo is a perfect addition to many fancy dress outfits and occasions. 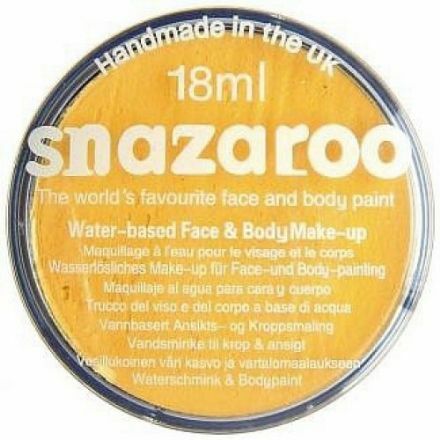 Made from the finest materials in the UK is this Snazaroo Bright Yellow Face and Body Make-Up. Suitable for Parties and School Plays. 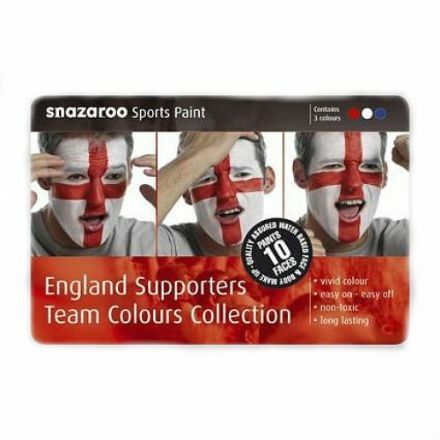 An ideal accessory for followers of different sports is this Snazaroo England Supporters Team Colours Face Painting Collection. 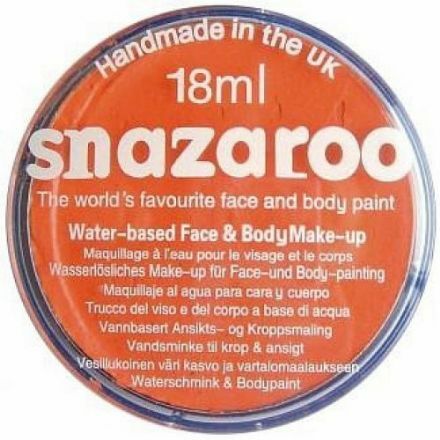 Just superb is this Snazaroo Face Painters Kit. 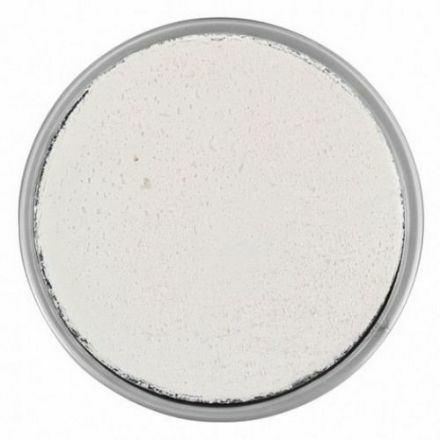 Ideal for someone who does a lot of face painting for Plays and Functions. 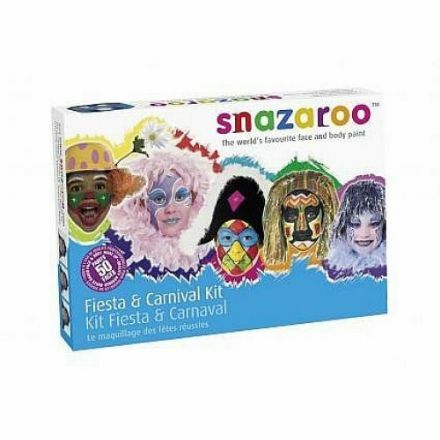 Just delightful and well made is this Snazaroo Fiesta and Carnival Face Painting Kit. Made in the UK. 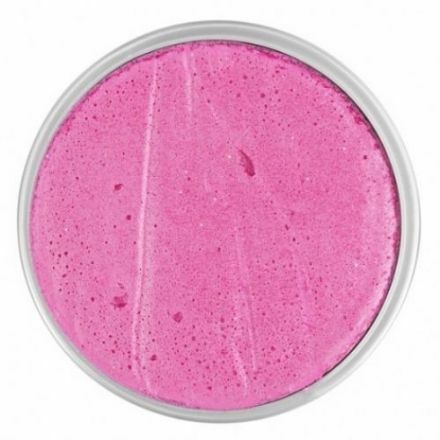 A gorgeous colour is this Snazaroo Fuchsia Pink Face and Body Make-Up. Made in the UK and ideal for Parties, School Plays and Functions. 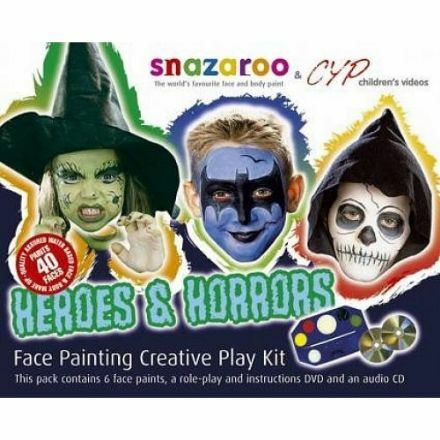 Fantastic is this Snazaroo Heroes and Horrors Face Painting Play Kit. Perfect for a Halloween Party. Made in the UK. 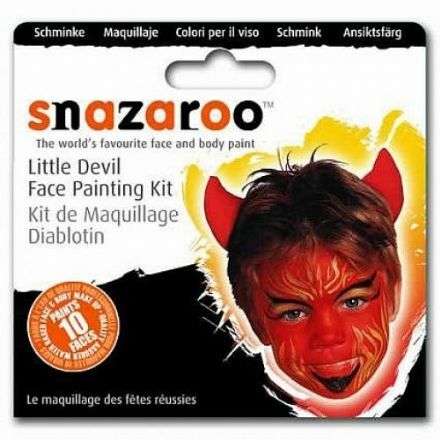 Look the part for your next Halloween Party with this Snazaroo Little Devil Face Painting Kit. Ideal for Parties and School Plays. A lovely Orange Face and Body Make-Up by Snazaroo. Hand Made in the UK and suitable for School Plays and Parties. Of the finest quality Pack of 10 High Density Make-Up Sponges. 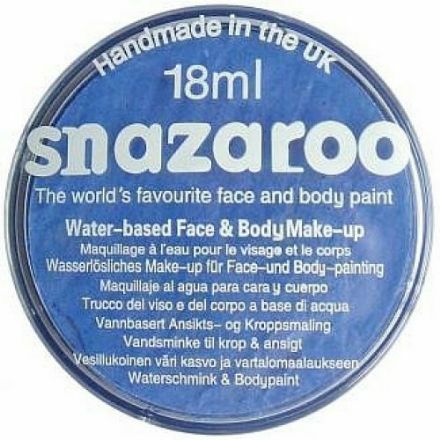 Perfect for our range of Snazaroo Paints. 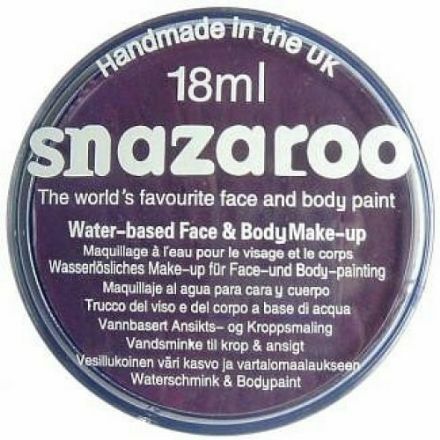 Produced from the finest materials and Hand Made in the UK by Snazaroo this Purple Face and Body Make-Up is ideal for Plays and Parties. 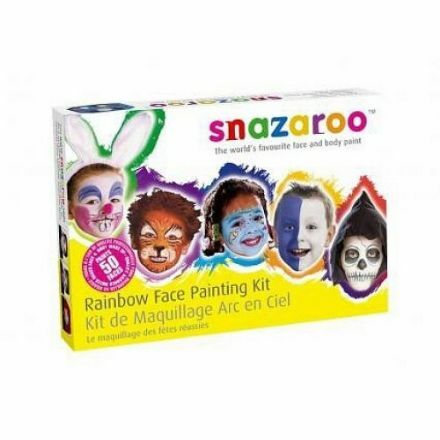 What a great Fancy Dress Rainbow Face Painting Kit from Snazaroo. Ideal for parties and celebrations. Sky Blue Face and Body Make-Up. Suitable for School Plays, Parties and Village Events. 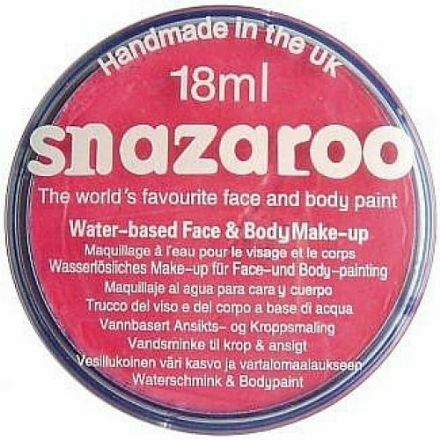 A really nice colour is this Snazaroo Sparkle Pink Face and Body Make-Up. Handmade in the UK. 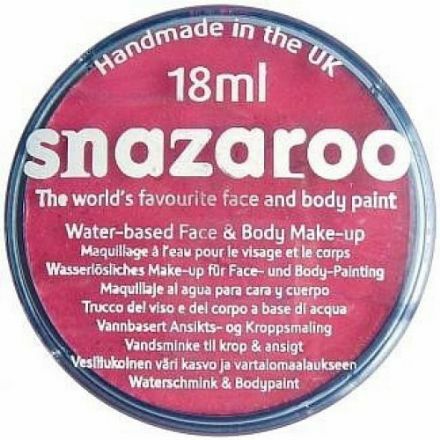 Suitable to be used in conjunction with many costumes is this Snazaroo Sparkle Red Face and Body Make-Up. Snazaroo Sparkle White Face and Body Make-Up. Hand Made in the UK. 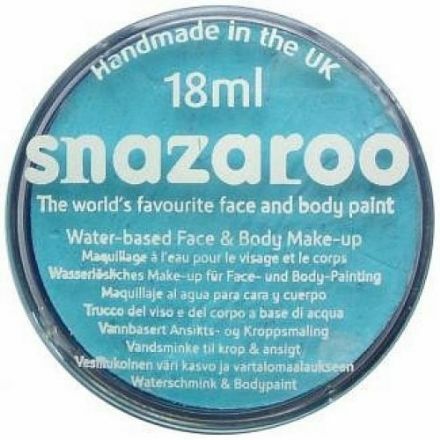 Turquoise Face and Body Make-Up from Snazaroo is ideal for School Plays, Parties and Functions.